Easter has passed. The celebrations have ended, but what are the lessons of Easter and the Cross for us going forward? What does the Cross tell us about ourselves and about God? If we broke the law but received a summons in the mail from the NYPD, we might not consider our crime is not all that serious. If we found out that the NYPD had put out an APD (All Points Bulletin) on us, we would immediately know it is more serious. If the NYPD linked up with the FBI and a SWAT teams in helicopters, there would be no doubt that we that we were in serious trouble. So seriously consider this: What then does it say about our self-centered, human natures, our personal lives and behavior on Earth that it took the Son of God hanging on the Cross to make us right with God? Much more than being in trouble with the police force that requires a SWAT Team, we are out of sync with Almighty God. We are out of harmony with Him. What it tells us in BOLD TYPE is that we are more corrupted, messed up, sinful, than we ever dared imagine…and it took the Son of God’s death to fix it! Because, in God’s wisdom, He sent Jesus to pay the ransom for our debt (sin) it also shouts at us that we are more precious, more valued and more loved than we ever dared hope. Here, in this passion play is the essence of the Gospel. We did not and cannot earn salvation. There are no tricks, good works or donations that we can offer to secure a righteous standing before God. Only our humble, surrendered hearts accepting this free gift allows us to stand before Him, justified. Justified before God means two things: 1) because of the blood of Christ, we are declared “Not Guilty” but 2) we are declared "righteous." This means we are perfect in front of God. We are a sweet aroma in God’s nostrils. Women and men of God, let these facts about the meaning of the Cross wash over you. And after you realize the gift that is offered, accept it with humility and offer your lives in gratitude in serving Him. Many people around the world admire Jesus. They like Jesus because they feel He taught a moral and ethical philosophy that is in tune with their lifestyle and outlook on life. Jesus’ teachings of loving your neighbor as yourself, forgiving others and treating others, as you would like to be treated, resonates with people as wisdom and words to live by. What people really dislike about Jesus is that He died on the Cross. Jesus dying on the Cross is offensive to a lot of people. Many men and women, who admire Jesus as a wise man want to believe that God grades our actions like a mathematics professor in college…on the curve. They feel that if they simply live a good life…not perfect, of course, but hey, who does…then when they stand before God, everybody will be just fine. We have done our best, and that should be good enough for a loving God to accept us into eternal glory. Unfortunately, in the eyes of God we are all in the same sinful boat. All have sinned and fallen short. This fact is difficult for “good people” to believe. They cannot come to believe that in God’s eyes, a good guy like Paul Newman of Newman’s Own Charities is the same as Adolph Hitler. Dr. Timothy Keller once preached this marvelous analogy about this riddle. Suppose you asked three swimmers, one a novice, one a good swimmer and the other an Olympic champion, to swim from San Francisco to Hawaii. The first would drown within the first mile from shore. The second might make it five miles and the Olympic champion might make it 150 miles…but in the end, they all drown without a rescue boat. Jesus’ death exposes our human hearts as so wicked and so deceitful and black with sin that only the death of His Son would be adequate to pay our penalty. That revelation and truth about our hearts is distasteful because it rips into the pride of men and stabs the ego that says we can contribute to our own salvation. To admit to ourselves that only the death of His Son would pay the price to get right with a holy and just God makes us furious and we reject Jesus. We reject the dying Jesus because we all want to earn salvation ourselves. Human pride hates to bend a knee to anything greater that itself. This is the Offence of the Cross. So often we hear these words and fail to fully understand what “The Power of the Cross” really means. What does it mean and what important impact does it have for our lives. The discussion begins with the often-asked question, “Why did Jesus have to die?” We wonder why God just didn’t snap His fingers and take away the sin of the world. The reason for this and a key insight into the power of the cross is that God is Holy. By 'Holy' we mean that sin cannot abide in His presence. He cannot tolerate sin and still be the kind of God that is worthy of worship. Someone must pay the price for the evil that has been done. The logical choice for payments of evil is the people who produced the sin…you and me! We are the ones who should pay the price for our greed, lust, betrayals, anger and evil actions. That would be justice, as we understand it. So where God IS a JUST God and demands payment for sin and evil, He is also the most loving God. In fact, 1 John 4:16a, says exactly that, “God is Love.” SO, while God demands justice for sin, He does not ask us, the sinners to pay the price. Instead He sent Jesus, the Son of God, to take all of our sin on His back to pay the ultimate price for our sin and evil. Jesus pays our debt and we get access to God in Heaven for eternity. 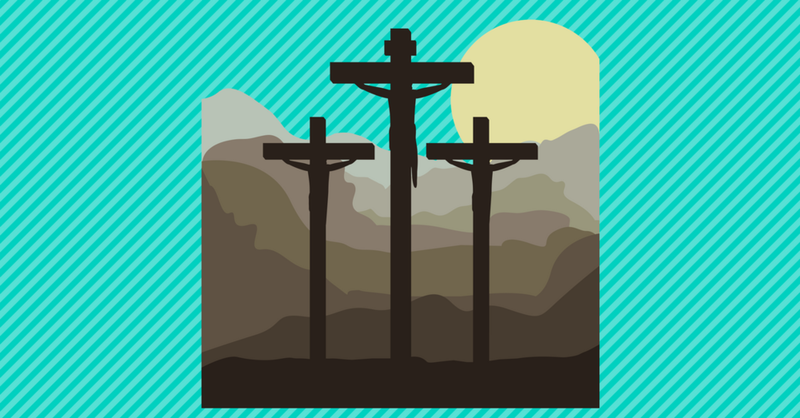 All of what we deserved went to Jesus on the Cross…all of what Jesus deserved comes to us. The Power of the Cross reveals us to be more guilty of sin than we ever dreamed or thought possible…but The Power of the Cross gives us more love, forgiveness and acceptance than we ever dared hope. When we understand Grace, we do not make Jesus our personal assistant in charge of really knotty, difficult problems. No, when we comprehend the Power of the Cross, we must fall tour knees and ask Jesus to take control of our lives.